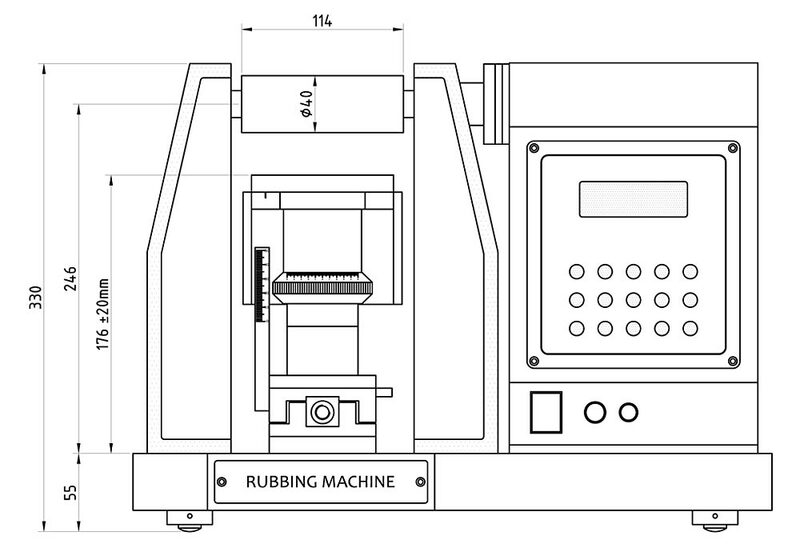 Rubbing Machine has been developed for LCD R&D Labs. The system is intended for tracing grooves on the polyimide to orient the liquid crystal molecules. The grooves are made using a special rubbing cloth having depth of a few Angstrom. The substrate is held by a vacuum chuck for which a vacuum pump is included and integrated with the system. Maximum size of glass substrate which can be loaded is 100 mm x 100mm. 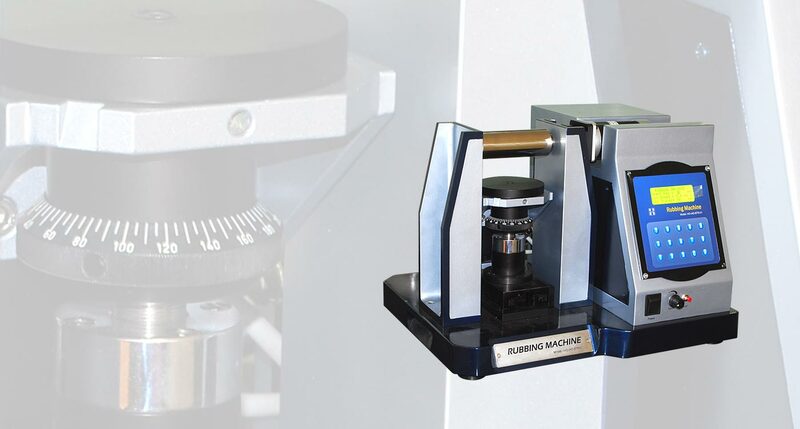 The substrate along with vacuum chuck is held on a rotation stage so that it can be rotated and positioned at any required angle from 0 to 180 degrees for various rubbing orientations. The system has been developed as a standalone unit in which speed of the roller and speed of the substrate can be varied.